We’ll cover everything about the P320 in our review…from features to accuracy, reliability, ergonomics, upgrades, and pricing. By the end, you’ll know if the P320 is right for you or if the Army is stuck with a dud. Not sure about gun actions? 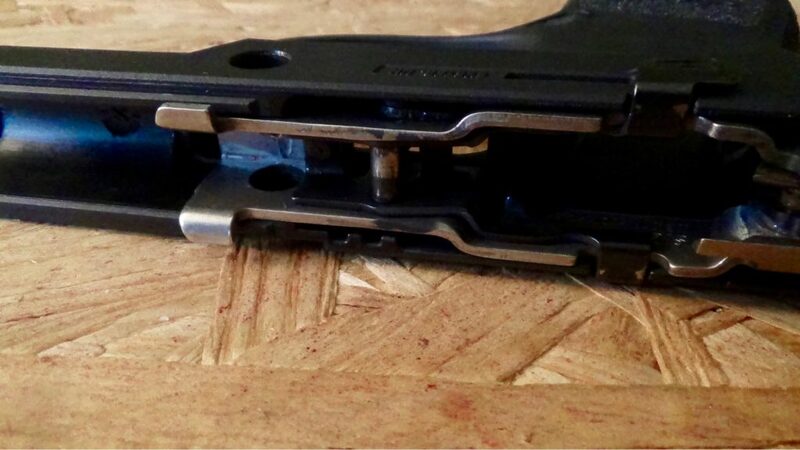 Check out our Single/Double Action vs Striker Fired article. Why would Sig want to make a striker fired gun? Well, striker fired guns have a lot of advantages that people love…a consistent trigger pull and increased internal safeties are the main reasons armed citizens, police agencies, and elite military units are switching to striker fired guns. The SEALS did it with the Glock 19. The mechanisms that make up striker fired guns are also very easy to produce, assemble and easy for armorers to fix. All this makes striker guns cheaper than traditional guns. It offers the quality and reliability of Sig Sauer, with a tried and true striker system and ingenious features that make it a novel gun. In a world of “innovative” guns, this truly is an innovated design and a step in the right direction for the future of pistols. The model tested for review was my personal Nitron carry in 9mm. 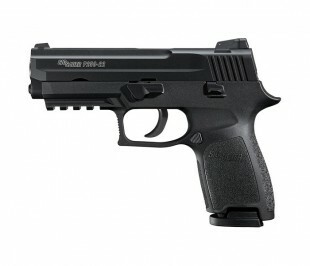 My overall impression is that this is a good pistol when compared to a Glock, XD, or M&P but subpar compared to a legacy P-series Sig Sauer gun. The construction of the gun is better than others in its class but isn’t as good as an H&K, legacy Sig Sauer, or any of the high end 1911’s. This is very much a carry or light duty gun. If you shoot competition and can’t afford better, this is a good gun, otherwise look elsewhere. If you plan on actually shooting a gun a lot, get a better gun. Better in the sense it has better ergonomics, and is more specialized for what you need. 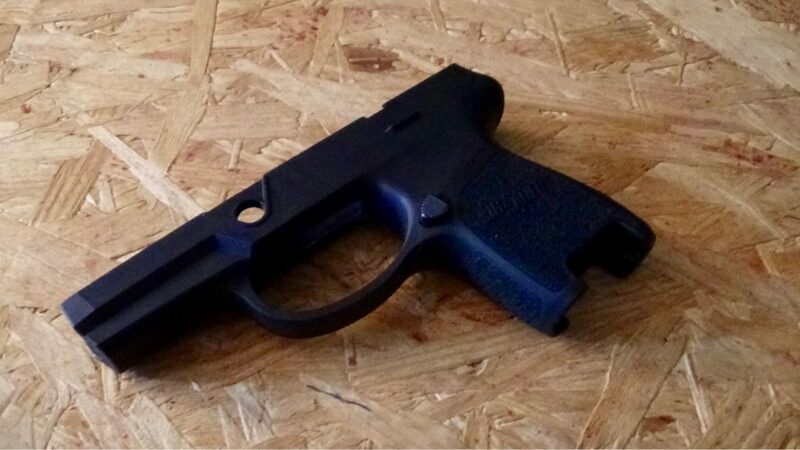 *Update January 2019* Sig has released their civilian version of the Army’s M17…the P320-M17. Check out our full review if that suits your fancy. 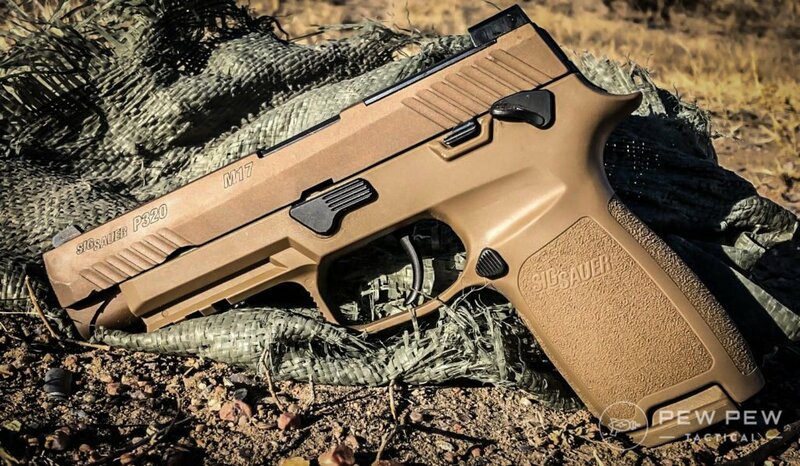 The Sig Sauer p320 has the usual suspect of safety features including firing pin, trigger bar, and others that make the gun just as safe as other pistols in the Sig line. What this pistol does have that no other striker fired gun does…is a single piece trigger. 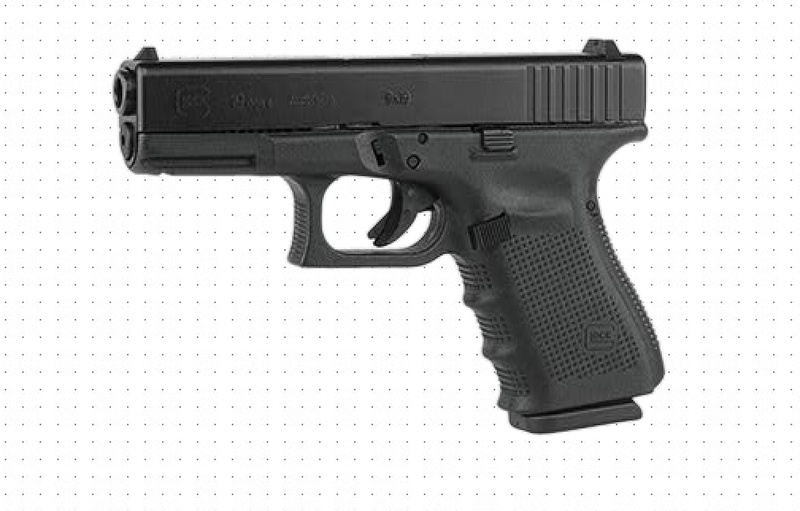 The trigger pack inside the gun is designed to have a one-piece trigger instead of the widespread two-piece hinged trigger of Glock and M&P design that houses a safety feature to control the striker. The safeties of this gun are all truly passive and operate without input from the shooter. 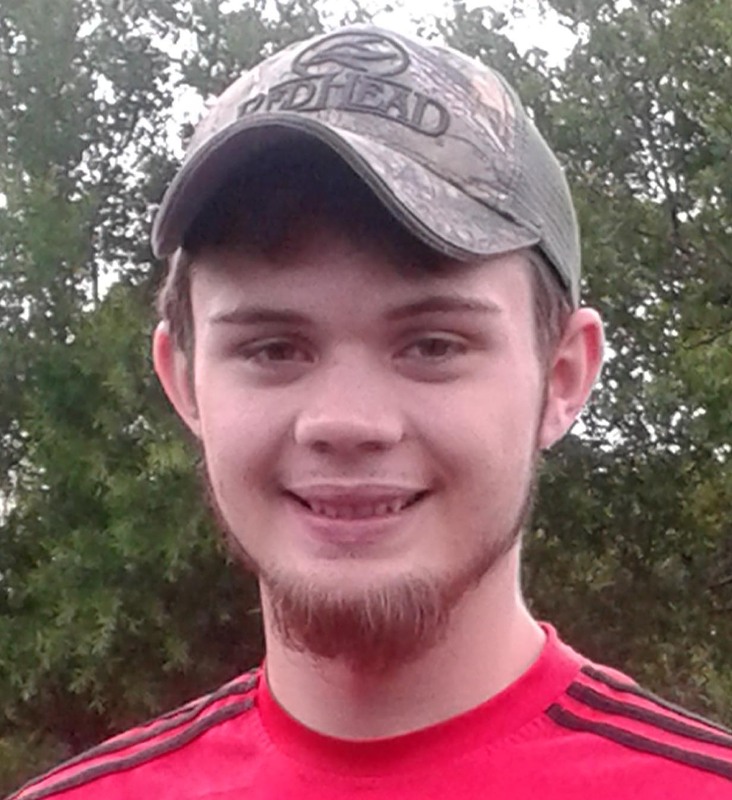 As far as the ATF is concerned the “gun” is the part that has the serial number on it. That means everything else is just a part. The slide, and more importantly, the grip frame, are not serialized. You can shoot all the common calibers out of this weapon by just changing slides and mags. You can also re-size the gun to your hand by having the entire grip changed, not just a few panels. This system works well but is a dumb way to go about it. 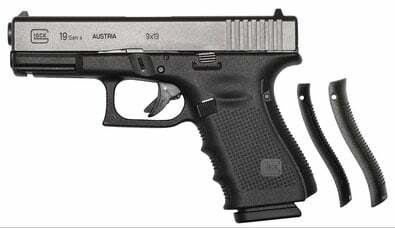 To convert a Glock, for example, you choose from the calibers that your gun can fit and need a new barrel and a magazine. You can save several hundred dollars over buying a new weapon with this system. You only save $150 or so when you buy a Caliber X-Change kit. You might as well buy a new gun if you want a different size or different caliber. Especially if you factor in the cost of extra magazines. The guns come with two, the x-change kits only have one. Buy the new gun, thank us later. Sharing both grip frames and magazines with the P250 the P320 has the ability to tailor the size of the gun and the circumference of the grip width, with just the change of the plastic grip frame. The serialized part of the gun the steel fire control unit mentioned above. This means you can buy grip frames online and have them shipped to your house, no FFL required. The takedown of this pistol is easy and can be done without pulling the trigger. All you do is lock the slide back, rotate the takedown lever clockwise and then slide off the upper half the gun. 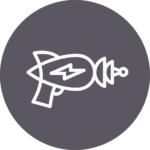 The gun is accurate enough to be used in a competition and will easily outshoot most shooters. The gun functions and fires all hollow point and plinking ammo you can feed through it into one ragged hole if you do your part. However, there are a few things to note about the accuracy of this gun. 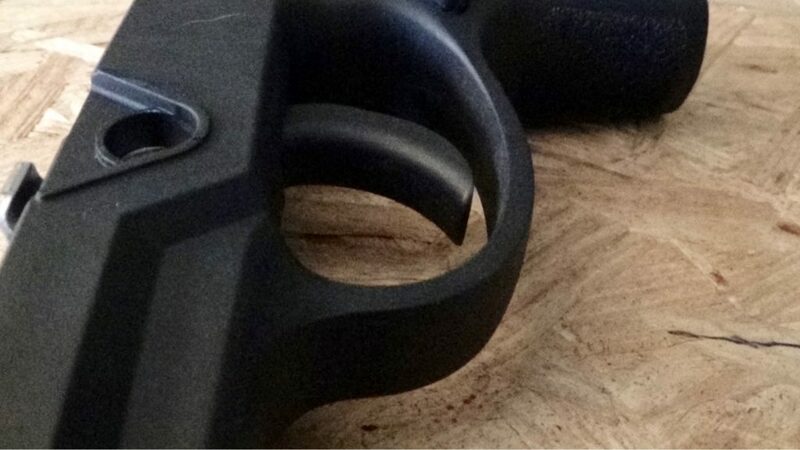 The trigger pull is consistent with no stacking and seems to be within the 6-7 lbs that a striker fired gun needs. This gun feels very much like a Sig. The high bore axis makes it feel a little like holding a ray gun but it is very comfortable in the hand. The plastic frame feels warm even in cold weather and the grip panels feel almost like skateboard tape, but without the sand. It’s a subdued stippling that works better than it looks. I hate saying this but…the gun almost needs to be felt in hand and fired to appreciate it. This is because the magazine floorplate is a piece of the grip and if you have a meaty palm then you’ll prevent the magazine from dropping free. 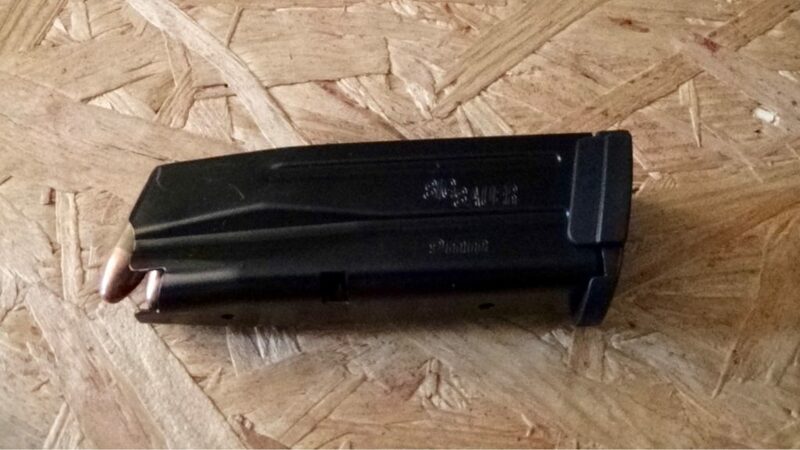 I never had any problems with the magazine jamming and not coming out, just an ergonomic problem with the gun in general. The feeling of the pistol is hand feels wonky with a loaded magazine, once you put rounds in the gun it handles like a dream, despite the high bore axis. I don’t use the slide lock to run the gun but it is easy to use if you’re inclined. I have large fingers but many report the trigger blade being too wide and uncomfortable to shoot. I didn’t find any problems while shooting, but the ladies who shot my gun had to use almost their entire finger. 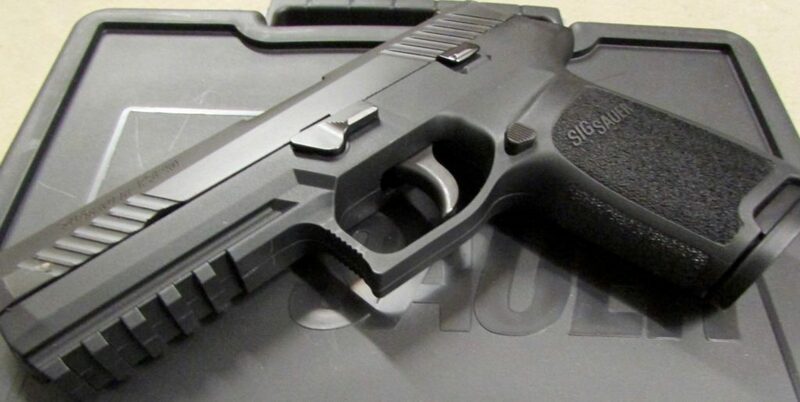 The Sig P320 is an entry-level Sig gun. That doesn’t mean that it is low quality. Sig Sauer makes by far the best polymer framed guns in the world and by far some of the most accurate and dependable pistols. You must accept the fact though…the grip frame is made to be almost disposable. 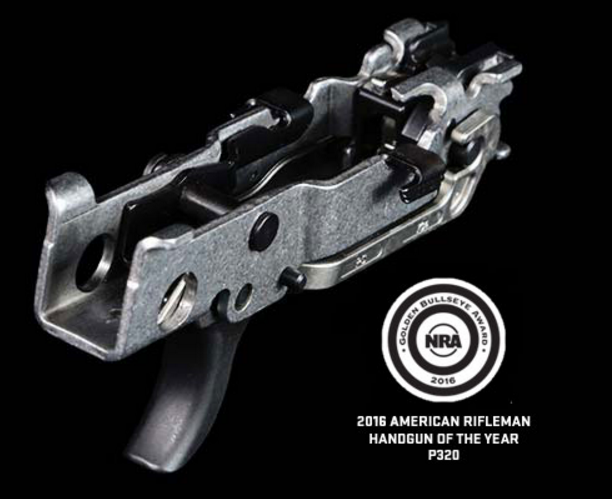 All the models offer Picatinny rails that are squared away under the barrel, in front of the trigger guard for mounting a light or laser. The whole gun, finish included just seems more susceptible to dings, and scratches…more so than any other gun I’ve ever used. The finish on the gun is said to be the same as on other guns, but my Sig P250, the predecessor of the P320, seems infinitely more durable with regards to finish. This, of course, doesn’t hurt the reliability of the gun, just affects the quality and long-term appearance. Guns rust literally on store shelves here, but the Sig P320 doesn’t. The first week I got this pistol I took it kayaking and I accidentally dropped the whole pistol into a pool of salt water. Guns obviously have more than one use but a .50 BMG rifle is bad for plinking just like a .22 LR pistol is bad for self-defense. 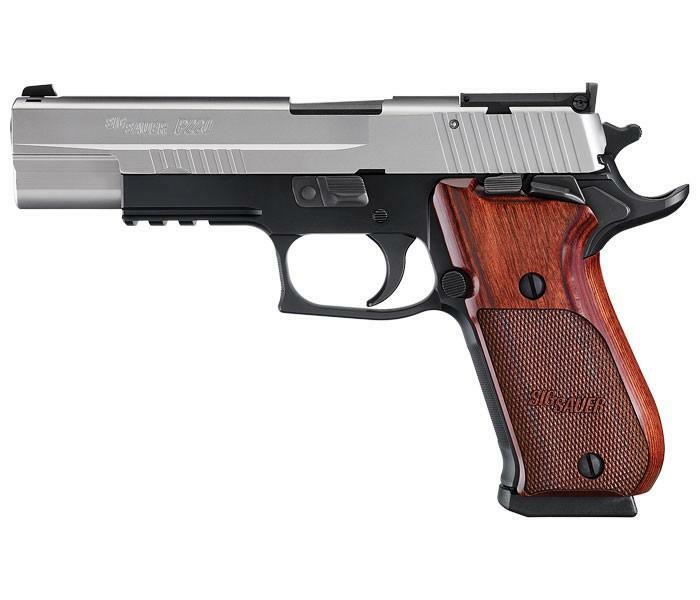 Currently there the Sig P320 lags behind the classic Sig guns in regards for professional quality gear but it is being embraced by and large by consumer gear manufacturers. Nearly every custom Kydex maker has holsters for this gun so for concealed carry or for range use you should be fine. Including holsters for weapon lights, red dot sights, and suppressor height sights. More so than a Glock, this pistol’s main competitor but won’t keep up with a race-gun 1911. It looks like a space pistol, especially the full sized gun. Super cool if you’re into that kinda thing. This is an excellent gun to customize, as long as sig makes what you like. The pistol is still lagging in aftermarket parts, especially mags, but SIg makes plenty of parts to change out and it’s the easiest gun by far to have stippled. I’m not a lover of most striker fired guns but this is just a great gun. It certainly has it quirks but overall you can’t go wrong with purchasing this gun for yourself, as a present or for your significant other. If you’re in the market for your first handgun, this is a good bet. If you’re a collector and just likes this gun, then get at it! And I feel the Army made a pretty good decision too. However, if you’re the type that already has a Glock or M&P and are happy with it, this gun is different, but not an upgrade. This is a fantastic carry gun and a great alternative for a Glock or M&P. I say buy the frame size, and caliber you want because for the street price of an X-Change kit is almost the cost of another gun. The trigger blade is super wide, the magazine needs a little redesign and the finish is downright awful. The upside is, no matter what you know that this gun is accurate enough to do most all kind of work, and will go bang every time you need it too. Need a holster for your P320 or any carry gun? These are Our Top 5 Kydex Holster makers. I have had nothing but issues with my P320. Mainly, failure to eject. Every single range trip it’s a matter of a couple of magazines into the shoot and the failures begin. The same day it was returned from Sig with the standard BS “NO Problem Found” I took it to the range where it failed again. Twice. Now it is jammed up and frozen. So back to Sig it goes. I demanded a refund or replacement. Lets see how this goes. I truly got a major lemon. You made this statement, “This is important because the plastic of the 320 isn’t as resilient as Glocks or M&Ps.” What is the basis of that comment? You have some actual data/test results or is this simply your opinion? I’ve had mine for 3 years as my EDC, it gets range times multiple times per month and I’ve seen zero degradation. It’s a decent review but comparing the Sig to a 1911 race gun and only giving it 4 out of 5 is quite irresponsible. I have the M-17 version and think it’s a wonderful gun. Not every gun is perfect but, I think you short changed this pistol. Could be due to your lack of gun knowledge. I don’t see it mentioned anywhere (comments included), but it should be added/edited into the article regarding the modularity. If you purchase a 9/357/40 version, you CANNOT swap parts to make a .45. In fact, Sig doesn’t even make a .45 X-change kit. However, it’s been proven that you can purchase the .45 model, and then downsize into a 9/357/40. If your P320 is in 45 caliber it cannot be converted to any other caliber. If your P320 is in 9, 40, or 357 it cannot be converted into 45 caliber. Y If your P320 is in 45 caliber it cannot be converted to any other caliber. If your P320 is in 9, 40, or 357 it cannot be converted into 45 caliber. You cannot go in either direction with 45 caliber.ou cannot go in either direction with 45 caliber. Thank you, article update now.